Apple’s iPhone revenue is likely to fall 2% in its current fiscal year on an annual basis, UBS analyst Timothy Arcuri said in a new report. The decline, which would be just the second-ever annual iPhone revenue decline, is being driven by weak demand for the new iPhone XR, Arcuri said. But Apple is facing other headwinds, including a decline in its reputation and a maturing global smartphone market. Apple will likely post its first annual decline in smartphone revenue in three years in its current fiscal year, and it can blame the drop on it its new iPhone XR model. The company’s iPhone revenue is set to fall about 2% in its 2019 fiscal year from the year before, said UBS financial analyst Timothy Arcuri in a new report. Apple’s fiscal years end in September. The expected decline is due to a global drop-off in demand and tepid consumer interest in the XR, he said, warning that Apple’s actual iPhone sales could be even worse than he’s now forecasting. „We have reduced expectations for iPhone XR and continue to see downside risk on a rolling basis to our forecast,“ Arcuri said. As part of his report, he reduced his price target on Apple’s stock to $210 a share, but maintained his buy rating on it. In late afternoon trading, the company’s shares were down $3.52, or 2%, to $173.17. The decline in iPhone revenue will come as a result of a 7% drop in the number of iPhones that Apple sells, Arcuri said. An expected 5% increase in the average price Apple fetches for each phone will only partly offset the drop in unit sales, he added. Apple has seen a decline in its annual iPhone revenue only once since it launched the first model in 2007. In its 2016 fiscal year, its smartphone revenue fell 12%. But that decline came after its iPhone revenue had surged 52% in its fiscal 2015. Arcuri based his forecast in part on new survey data from UBS and from 451 Research. Both surveys indicated slackening demand for smartphones in general and for the latest iPhone models, particularly the XR. Recent reports have indicated that sales of the XR have been disappointing. Apple cut orders of the new phone by a third in late October before slashing orders again a few weeks later, according to the Wall Street Journal. Foxconn, which is Apple’s leading manufacturing partner, has warned of a disappointing year ahead. Meanwhile, Apple has ramped up its marketing on its new iPhones and has been touting the XR at $300 below its retail price, albeit with a trade-in of another, older iPhone. Apple ordered about 78 million units of the newest iPhones — the XR, the XS, and the XS Max — in the second half of this calendar year, Arcuri estimated. Of those about 43% are XR models, he said. Unfortunately for Apple, that allocation is way out of whack with actual demand. Among consumers who say they plan to buy one of the latest iPhones in the next 12 months, just 20% said they plan to buy and XR, according to UBS’s survey data. Even though Apple has cut its orders, „XR supply remains too high,“ Arcuri said. Additionally, consumers seem unimpressed with some of the features Apple has added to the latest iPhones. 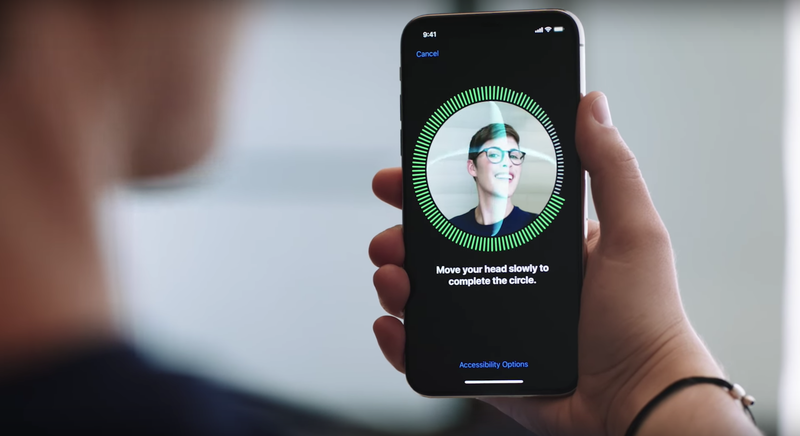 Far less than 50% of those surveyed said they considered Apple’s Face ID facial recognition system, augmented reality, or artificial intelligence either very or somewhat important, according to UBS. Instead, consumers rate „core“ features including battery life, price, and network quality to be the most important features they look for in new phones, according to the survey. And Apple is facing other, broader obstacles. Fewer consumers around the world are planning on upgrading their phones in the next year, UBS’s survey indicates. Just 41% of global consumers say they plan to get a new smartphone in the next 12 months. That’s the lowest percentage UBS has ever found in a fourth quarter, and is down from 46% who said last year they planned to upgrade their phones in the succeeding 12-month period. In many countries around the world, consumers are holding on to their phones longer and expect to replace them less frequently, UBS’s survey found. Globally, the average consumer’s smartphone is 1.6 years old, up 6% from a year ago, Arcuri said. On average, US consumers plan to replace their phones every 2.2 years, up from just 2 years last year, he said.